A ban on the citizens of Iran, Libya, Somalia, Sudan, Syria, and Yemen still remains in place, although several U.S. court hearings are challenging those restrictions. “The aviation industry has been trying to come together with a united message to governments and stakeholders about regulation and supporting the industry,” Will Horton, senior analyst at Australian aviation consultancy CAPA, told Reuters. 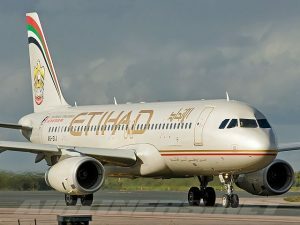 The ban was nearly expanded to cover all flights into the U.S. from the Middle East and Europe, which had international business travelers concerned. Since many business travelers have long been practitioners of “carry-on luggage only” travel, this could have had serious ramifications on business travel in general. Instead, the U.S. accepted new security and screening measures from the airports in Europe and Middle East, other than the original ten airports, thus preventing the expanded ban. And now that the U.S. has lifted their ban on the remaining airlines, business travelers can continue to carry their laptops and tablets in their carry-on luggage. That was a bit of a close call for business travelers, but we can remain productive. We’ve also talked about how to function without a laptop, should a similar ban return. How would you cope if the ban were instituted? Share your thoughts with us in the comments below, on our Facebook page, or in our Twitter stream.